Practical advice on the use of Polysulphate™ in a broad range of crops will be available at a major fertilizer exhibition in eastern China this month. 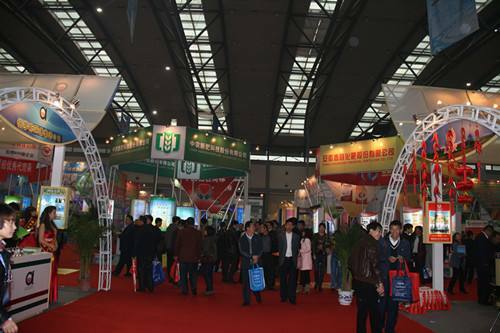 The China Phosphate and Compound Fertilizer exhibition is held in the city of Nanjing, in Jiangsu, the coastal Chinese province north of Shanghai. Over a period of three days, 4th to 6th November 2016, we will be sharing the science as well as the practical application of our Polysulphate fertilizer. Polysulphate allows the preparation of a wide variety of NPK fertilizers which can be tailored to meet the needs of various crop, soil and climatic conditions. Polysulphate is an ideal constituent of NPK fertilizers, introducing sulphur and other essential nutrients like Mg and Ca. Still one of the most productive agricultural provinces in China, Jiangsu has the alluvial plain of the Chang River. To the north the main crops are wheat, millet, corn, soybeans and peanuts. There is rice, tea, sugarcane and barley growing in the south. Along the coast there is cotton. To the west, in the hills there are plantations of tea. Polysulphate, and the balanced, slow-release nutrition this natural fertilizer provides, can play a key role in all of these crops. Up to 2013, according to data from the World Bank, fertilizer consumption in kilograms per hectare of arable land in China continued to rise. It reached a peak of about 121 kg ha-1. However in response to concerns regarding fertilizer efficiency, and the environmental and economic consequences of poorly-planned application, many farmers are now looking for more cost-effective and targeted strategies to meet their crops' nutritional needs. Our team at the China Phosphate and Compound Fertilizer Exhibition will have plenty of advice and inspiration for using Polysulphate in targeted fertilizer regimes for the full range of crops in Jiangsu and beyond.